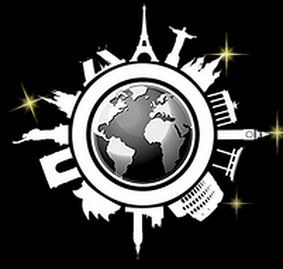 This year, a new association, «Worlds of Michael,» was formed in France. It organizes international fan meetings and trips to places previously visited by Michael. Of course, similar organizations had existed before — mostly for coordinating fan travels to Michael Jackson concerts. But now the situation has changed, and people from «Worlds of Michael» have started a unique initiative in this new reality. 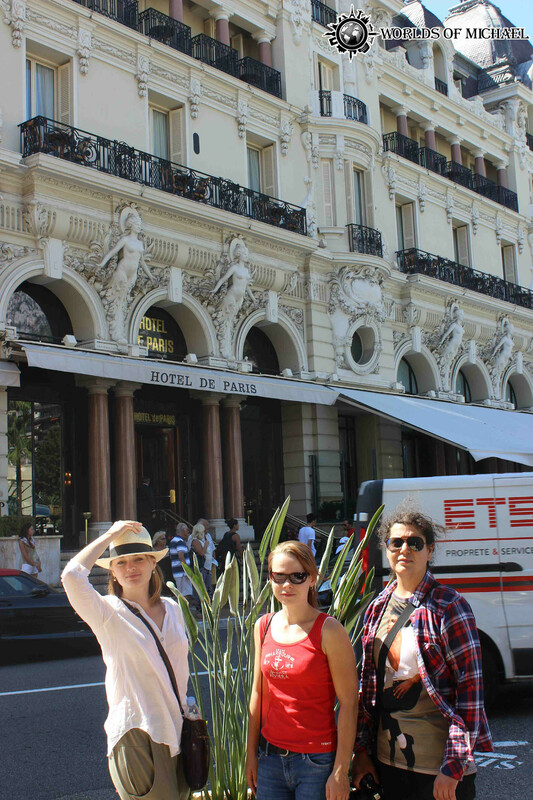 The first tour of Russian and French fans across MJ-related places in France and Monaco took place in the beginning of September. I talked to the tour organizer and president of the association, Nicolas Piedra, about the idea and the first results of the initiative. Karina: Nicolas, how did you come up with an idea of such a tour? Nicolas: The idea of «Worlds Of Michael» came to me in the beginning of 2014, after I and my wife had returned from our trip to California. I wanted to start this kind of initiative and shared these thoughts with my wife, but I didn’t yet know what it should be like. I talked to my friends about our trip and what we did in Los Angeles — we discussed places related to Michael. Friends in social networks were asking me to take pictures of MJ-related places and bring souvenirs from Neverland. So I understood that we could share our pleasure from visiting MJ-related places with other fans, and it would be great if we could allow fans meet each other and visit new places at the same time. To get to know each other better. Of course, our common interest is Michael, and my goal was to create a new experience by bringing people from different countries together and sharing the same passion. Karina: What is the goal of the association? Nicolas: First of all, it is a chance to share your love for Michael. 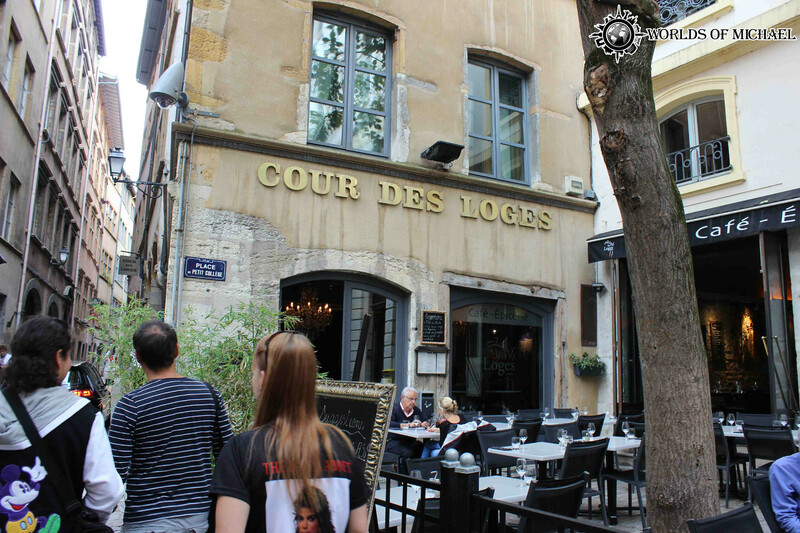 Secondly, we are discovering various interesting places related to Michael in France and California. 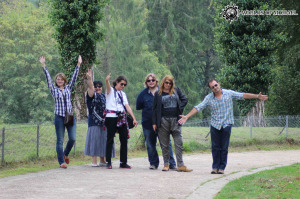 Thirdly, it’s about the pleasure of sharing your feelings and emotions with other fellow travelers and having fun together — discussing Michael and sightseeing. Karina: What is your personal MJ-related story? Nicolas: My story is long and eventful. I’ve been a fan of Michael since the age of 6. For ten years, I was a musician, and in 2003, after my first album (which enjoyed some success), I wrote song called «Get Out Of My Mind.» I never tried to imitate Michael, but the song spread all over the Internet and presented by some as his unreleased material from the Invincible sessions. After that, everything got out of control. I tried to deny this, I posted on MJ forums — but then I decided that I might as well use this publicity to offer my work to the man himself. I traveled to California several times, trying to get through to Michael. In the beginning of 2009, I almost got to meet him, but unfortunately, Michael was always surrounded by crowds of people, and then, in June 2009, it all ended. Karina: How do you estimate the first «Worlds of Michael» tour? Nicolas: Our first tour was successful — to a large extent because of the participants. And I’m not saying this out of kindness. Even if you visit the most beautiful places of the world but with wrong people, you won’t be able to enjoy and cherish those places. Evgenia, Svetlana, Irina, Severine, Laurence, Joelle and you are all accomplished people, and you all got along so well. So from now on, I’d like to see my friends on these tours, people I want to be with. It’s a success. We got lucky with accommodation and weather; and besides, Severine has a beautiful house, a very nice place to stay. But I won’t go back to the Lumiere museum again until they open their archives of materials related to Michael’s visit. Karina: What are your impressions from the trip? 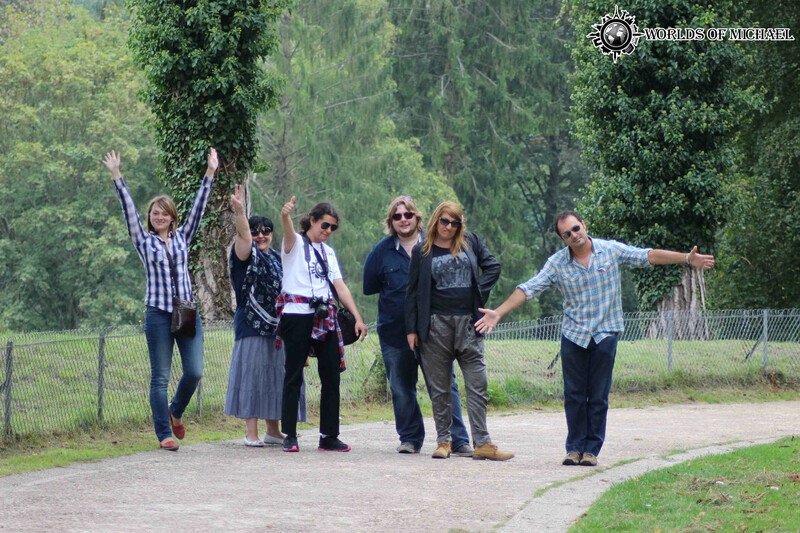 Nicolas: It was nice to get to know people we met at the Pierrefonds castle and in Lyon, because they welcomed Michael when he was in France. 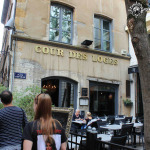 But I liked «Cours des Loges» hotel the most, and our conversation with the guy who met so many celebrities and politicians. He said that his meeting with Michael was the best day of his life. I also liked the Chantilly castle. Although it has no direct connection to Michael, the castle is impressive, even better than Versailles. As I said, I felt Michael’s spirit all the way. I felt joy from meeting people who share the same passion. I hope we will have more trips like this, many more. For those who didn’t get to experience fan traveling in its heyday, this is a unique opportunity to get a taste of an MJ adventure, hear dozens of interesting stories and see beautiful places. Despite the nostalgic touch, the trip left many pleasant memories. I was lucky to participate in the first «Worlds of Michael» tour in France. I’ll be honest: for me, the most important thing was that I got to be around MJ fans, including my long-time friend, Nicolas’s wife, Evgenia Voeikova. I enjoyed our communication immensely. Our group consisted of 6 people. We traveled to the most beautiful places of France in a black SUV, with Michael’s music playing nonstop and a little basket full of candy. We talked in three languages — Russian, English and French, which led to funny slips of the tongue and made us all laugh. We discussed music, exchanged stories, shared our memories of Michael concerts and looked out of the windows at passing castles and mansions. Cote d’-Azur, the Cannes and the palace of festivals, a little town with cozy paved streets; Monte Carlo, a city of happy residents, expensive boutiques, rich casinos and cars with Moscow license plates parked across the street. Nice, with its unusual fountain, the strange «Ghosts» square (all paved in black and white tiles), a cowboy-style shop and a seashore with expensive yachts. This was just the beginning. In all these cities we visited hotels Michael used to stay in; and at every hotel, I tried to imagine what it was like to keep vigil under his windows. Having left the Southern Coast, we went straight to Disneyland, taking the fastest train in Europe. I think, it was at Disneyland where I started feeling excitement about our trip — it came with the desire to try all those rides Michael loved! At that amazing place, I understood what exactly Michael wanted to recreate in his Neverland ranch. 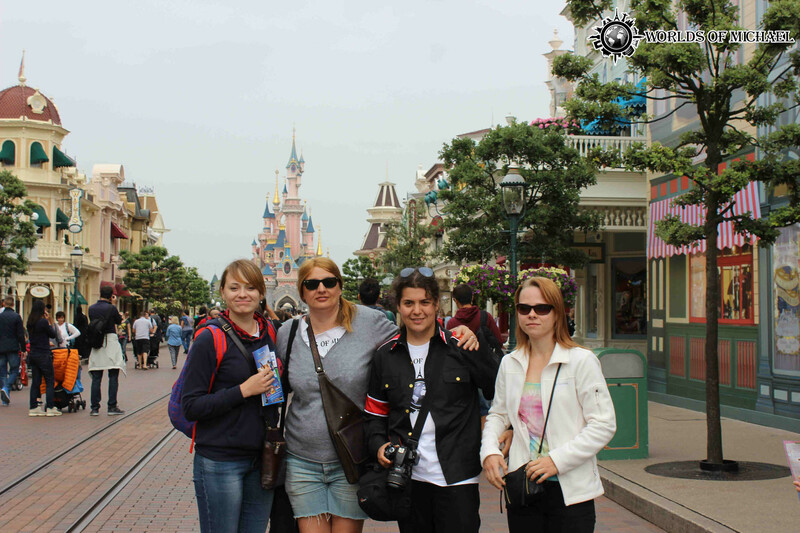 Adults and children wearing Mickey Mouse ears walked around the park, immersing themselves in the reality of this world of fairy tales, adventure and favorite cartoon characters. There is no snobbery there; that place brings out a mischievous and playful child in everybody. We spent the whole day in the park, but, to tell the truth, one day wasn’t enough for me. I will have to return to Disneyland as I didn’t have a chance to try the Peter Pan ride. MJ fans, of course, know the funny story about this ride, and I’m curious to see if it’s true! We stayed at the house of Severine, a long-time MJ fan. When we arrived, a stack of pancakes was waiting for us, baked by Laurence, Severine’s friend and another MJ fan. But it wasn’t just pancakes that surprised me. 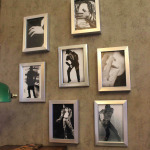 For the first time in my life, I found myself in a house where every wall was decorated with Michael Jackson’s portraits. 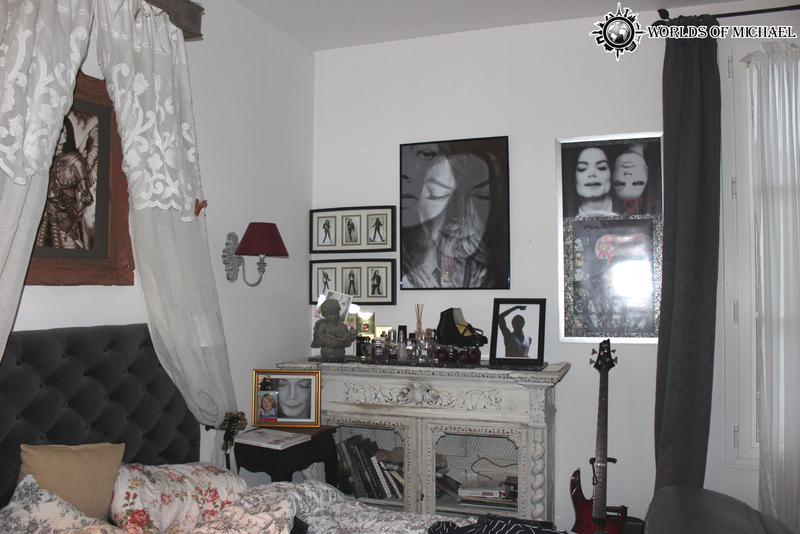 Severine’s house is a dream of every MJ fan — not just a house but a real display of the life of a Jackson devotee. Michael’s portraits were beautifully integrated in the design on every room; MJ souvenirs and symbols were everywhere, even on the car key chain. It’s an extreme pleasure to stay at a place like this. Severine is an amazing person. To get to know her and stay at her house was ten times more valuable for me than seeing the Eiffel Tower or a medieval castle. Still, we saw both the castle and the tower. There’s a little story connecting Michael to the Pierrefonds castle. In 1997, he suddenly appeared at the castle gates surprising all of the staff. Michael loved the architecture and asked for a plan of the castle. 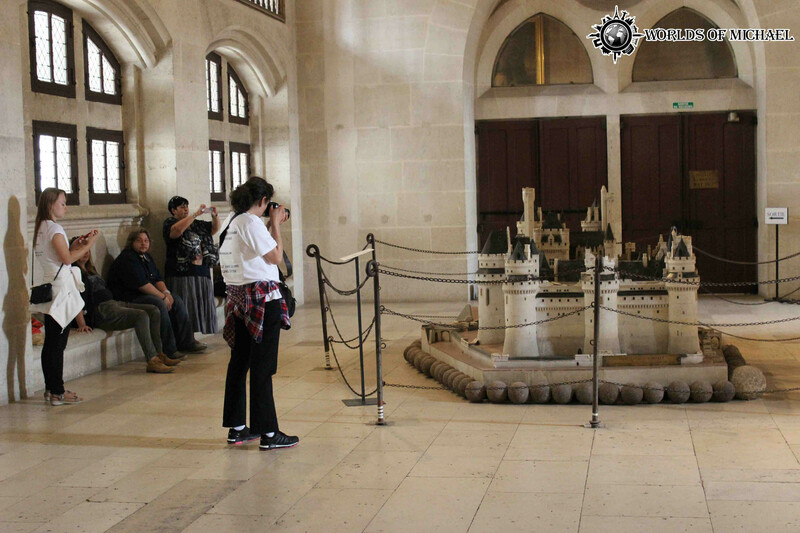 Later it turned out that Michael ordered a model of the Pierrefonds castle, and you can see it placed inside Michael’s house in Neverland in some of his home videos. 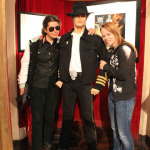 In Paris, we attended the Grevin Museum which has Michael’s wax figure, but it wasn’t the figure that got my attention. There was a plate near the figure containing Michael’s hand prints, and this was what attracted me. Any fan would be curious to compare the size of his or her palm to Michael’s. When you touch those prints, you get a strange feeling. Maybe it’s my personal sentimentality, but as I sat there over those hand prints, I felt deeply moved and wanted to stay there longer. For a moment I felt I was touching something that was really connected to Michael. It’s probably one of few such artifacts accessible to his fans. The last stop of our trip was Lyon. The day before, we said goodbye to Laurence, Severine and her family. It was sad to leave their wonderful house, and it was sad to part with our new friends. We promised each other to keep in touch on Facebook, and then our black Chevrolet took us to Lyon. We spent five hours talking to Nicolas, who’s an excellent driver and asked us to entertain him with a conversation while we were on the road. 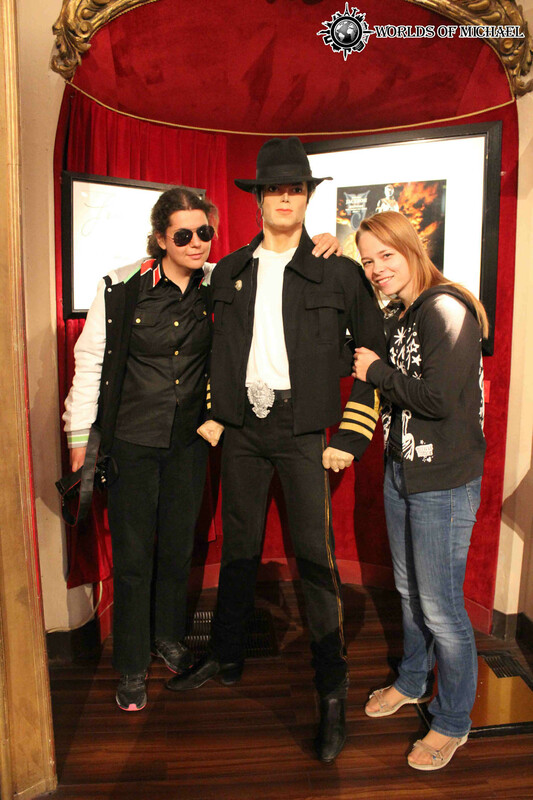 In Lyon, we met another MJ fan, Joelle. She took us to see the hotel where Michael had stayed, and then we had dinner in a restaurant where he had often eaten. I should say, the menu didn’t have a good choice of vegetarian food, so probably it wasn’t the menu that attracted Michael but the interior designed in the medieval style and the secluded place where the restaurant was located. 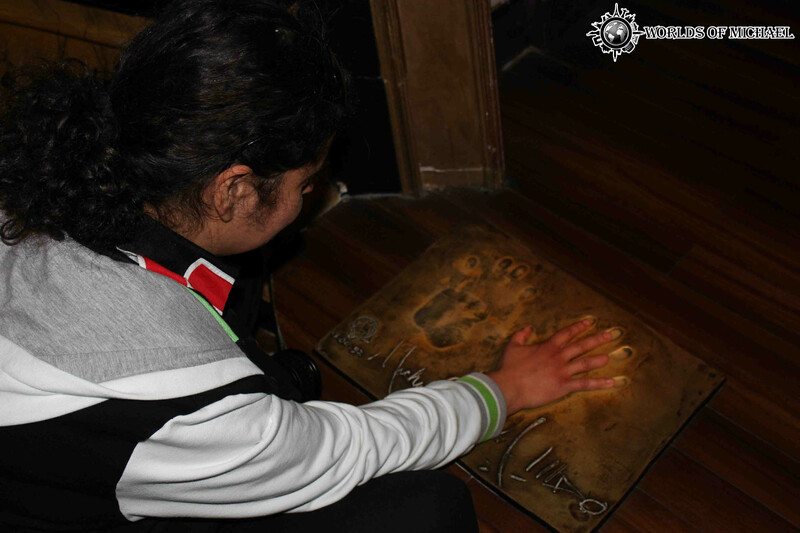 During our trip we had a chance to talk to several people who had been blessed to meet Michael in person. They shared their little stories about meeting the King of Pop. Story after story, we heard about Michael’s modesty, kindness and politeness. We had read many such stories before, but still, it felt nice to hear them from the first-hand witnesses and a people we saw for the first time in our lives. We also visited the Lumiere Brothers Center for Photography and spent some time wandering around the museum. Of course, our trip there had a purpose because we knew that Michael visited the museum in 1997, and there were some unpublished pictures of his visit in the museum’s archives. But, despite all our attempts to talk the museum personnel into showing us the pictures, we weren’t allowed into the archives. Our tour ended in Lyon, and Nicolas took us to the airport. We left the country with loads of photographs, a bag of souvenirs and pleasant memories. This marvellous trip made me think of how important such personal meetings are, meetings between people for whom Michael Jackson is more than a favorite singer or a childhood idol. I met other people for whom Michael wasn’t a hobby, he was their whole life. He is present in everything that makes their lives. The phenomenon of Michael’s personality suddenly obtains many faces, becomes divided into dozens of lives, changes people’s lives. My main impression from the trip is in the touching and dramatic stories of people with whom we shared this adventure. The impression of how deeply Michael Jackson can be integrated in the lives of other people, and how much they cherish, protect and love this. Thank you Nicolas, Evgenia, Irina, Severine, and Laurence for organizing this meeting. I wish this project a great success and hope that it will keep evolving.